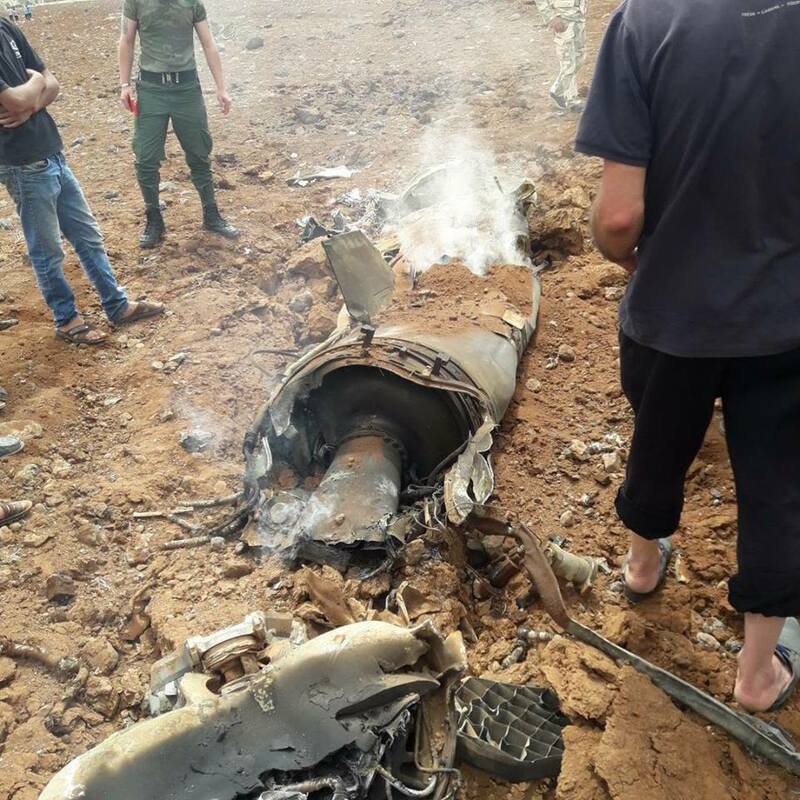 On 22 May 2018, images from As-Suwayda governorate in Syria circulated, showing remnants of a Tochka series missile. 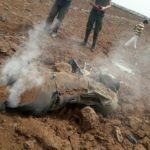 These were capture in the ARES Conflict Materiel (CONMAT) Database. 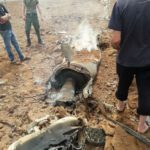 The 9K79 Tochka tactical missile launcher and, in particular, the 9M79 missile with 9H123F high explosive warhead have been observed in Syria for several years, and remnants of 9N123K cargo warheads (a cluster munition) have also been previously documented. 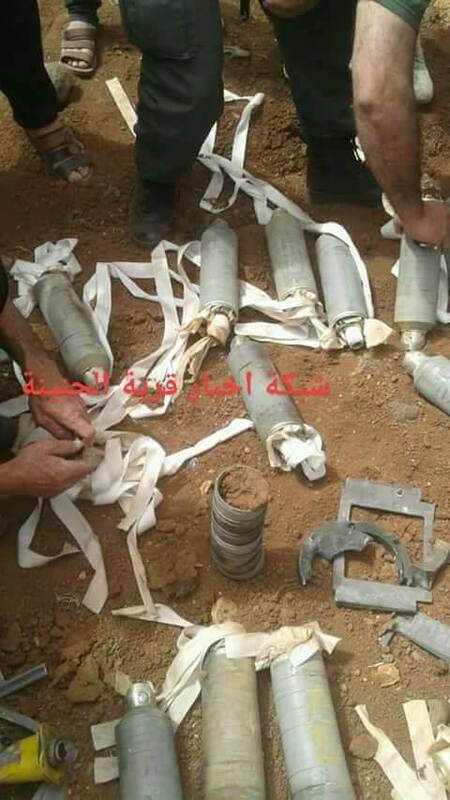 This is the first time, however, that 9N24 submunitions have been widely photographed and publicised. The 9K79 is also referred to as the OTR-21 (OTR: оперативно-тактический ракетный комплекс, or ‘Tactical-operational Missile Complex’), or by its NATO reporting name: SS-21 Scarab. This Soviet-designed system has a maximum range of 70 km, and a circular error probable (CEP) of approximately 150 m. An updated version, the 9K79-1 Tochka-U (Scarab-B), was introduced in the 1980s, and features a maximum range of 120 km and a CEP of approximately 92 m. Syria is thought to possess both iterations, having received its first deliveries of the earlier 9K79 (Scarab-A) systems from the USSR in 1983. The 9K79 series systems are mobile tactical missile launchers, consisting of the 9M79 solid-fuel missile and the 9P129 6×6 wheeled transporter/erector/launcher (TEL). 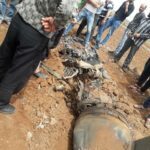 Various payloads can be delivered by the 9M79 missile; Syria is known to possess 9M79F series missiles with 9N123F 482 kg high explosive fragmentation (HE-FRAG) warheads, and was previously suspected to possess 9M79K series missiles, which deliver the 9N123K cargo warhead containing 50 9N24 HE-FRAG submunitions. The 9P129 TEL is based on the Object (объект) 5921 6×6 wheeled vehicle, which also serves as a base for the 9A33 TEL for the 9K33 Osa surface-to-air missile system (NATO reporting name: SA-8 Gecko). The 9P129 has a road speed of approximately 60 km/h, is fully amphibious, air-transportable, and provided with NBC protection. A trained crew can setup and ready a missile for launch in around 15-20 minutes from a previously mobile position. 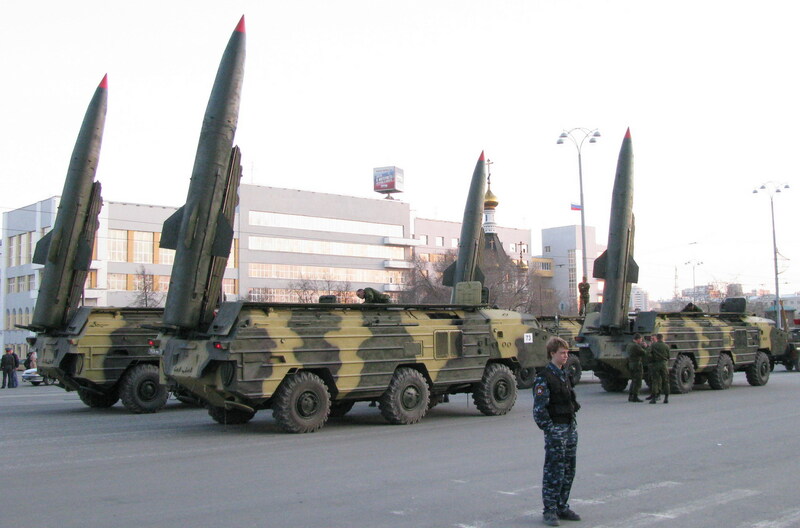 9K79-1 systems were used by Russian forces in the both Chechen Wars and in the Georgian-Ossetian Conflict. The 9N123K warhead is designed to function at an altitude of 2250 m, using a low explosive burster charge scattering 50 9N24 HE-FRAG submunitions over the target area. 9N24 submunitions feature partially pre-fragmented (ring) fragmentation, and are fitted with the 9E237 impact fuze which is armed as the submunitions are expelled from the warhead. The fuze is designed to function on impact with the ground or other obstacles, at any angle from 25 to 90 degrees. This fuze also features a self-destruct function, which should ensure the submunition explodes 32-60 seconds after it is deployed from the cargo warhead. Mock-up of 9N123K warhead (source). Note: some of the imagery has been collated here, by Twitter user @QalaatAlMudiq. 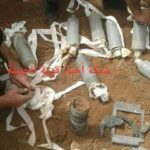 The picture at the top of the page does not appear to be the same kind of munition as the 9N123K warhead depicted below it in a photo and in a diagram.